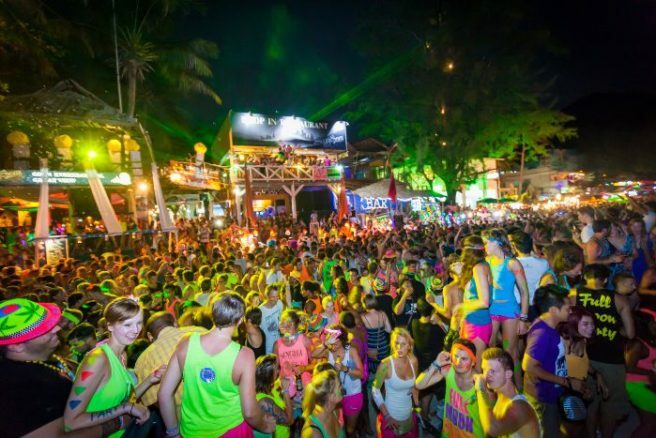 6 things you need to know if you are going to the Full Moon Party | SHEmazing! During my twenties, I spent a year and a half travelling the world, from India to New Zealand, Australia to Vietnam, Thailand to USA. No, I didn't win the lotto: my friend and I were travelling like poor backpackers, finding accommodation for less than 5 quid a night and eating for as cheap as we could. We saved for a few months beforehand, took on some small jobs along the way and managed to make it all work. One of my fondest memories of this incredible trip is the two times I went to the Full Moon Party, on the island of Ko Phangan in Thailand. If you are planning on going in the future, I have some advice for you. For my first Full Moon, I arrived on Ko Phangan one day before what we had originally planed. We thought that the place that we had booked would have a room for a us anyway. Of course they didn't. The whole island gets fully booked a few days before the D-day. We ended up sleeping in the laundry room of the hotel. That wasn't fun. After a few glasses of naughty water (booze lads, I mean booze), it might look tempting to give these big jumping ropes a go and literally play with fire. One of our friends did it and ended up in hospital for days with severe burns. You don't want to do that. 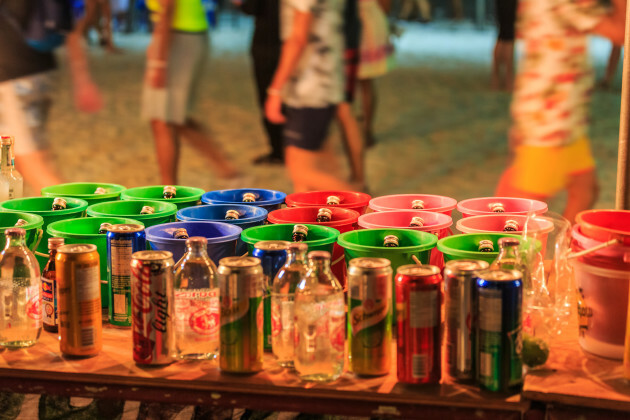 At the Full Moon, the alcohol is purchased in colourful plastic buckets. For about a fiver, you can get pretty much any alcohol and mixer you like, but if you feel a bit fancy, mojitos and cocktail are also available for a few more quids. Whatever drink you decide to get, do not, I repeat, DO NOT get the cheapest unbranded whisky or vodka on the list. The difference in price isn't worth the utter pain you will feel the following day. Feeling a bit warm? Want to go for a quick dip? Sure, you are on the beach after all! A midnight bath during the Full Moon is a big no-no. Without getting into too much details, people use the sea as toilets and all you will end up doing is covering yourself in human excretions of all sorts. I'll stop here. As you can imagine, the beach doesn't remain clean for very long when thousands of people turn it into the world's biggest dance floor. Glasses, cans, and many other hazardous objects end up in the sand and you don't want to step on them. This one might seem pretty obvious, but better safe than sorry. Bring the minimum you will need for the night, enough money to enjoy yourself and get a tuk-tuk home, but don't bring a wallet, passport, expensive clothes or a pricey camera. With all these simple precautions, you will probably spend one of the most amazing nights of your life, meeting strangers and dancing like there is no tomorrow. Enjoy it!